Shop for the best sofa and arm chairs to suit your needs today. Allow the experts to assist you in creating your dream living room according to your desired design theme with our wide variety of beautiful comfort furniture. Free assembly and delivery. Unsure of how to pick one? You can start by checking out this table below to determine the type of sofa you should be getting. Do also scroll to the bottom of this page for more tips so as to prevent yourself from making a lifelong mistake. Buying a sofa is an extremely important task for any homeowner in Singapore. Purchasing a sofa in a holistic manner is necessary to prevent any unfortunate regret. A sofa has to be comfortable, easy to maintain, and aesthetically beautiful, without clashing with your desired design theme and without burning a hole in your pocket. Here at Masons Home Décor, we make it extremely easy for customers to find the perfect comfort furniture for their living rooms despite our huge variety. Browse easily to find the sofa that will last you a lifetime. All images are accurate to what you will receive physically. Free delivery on all our sofas. Size. Measure the size of the available space that you can allocate for the sofa. The size of the sofa that you are getting will be reliant on the length and depth (breadth) that is available for use. Refer to the table at the top of this page to determine the type of sofas that you should be looking at! Do note that it is important to leave at least a 60 cm allowance in front of your sofa for easy and unobstructed walking around your living room. 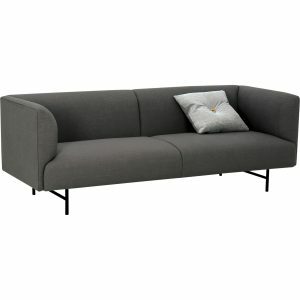 Should space permit, you might want to consider purchasing a sofa set to provide your living room with a complete look. Material. Having a sofa that fits proportionately to your living room is one thing. Ensuring that it is comfortable and suitable for the household is another! A leather sofa is easy to maintain but it is not as cosy and warm as compared to a fabric sofa. A fabric sofa can be available in a firm and also a soft (which allows you to sink in) format. Every Singaporean would have his or her own preference. Thankfully for you, we have listed the level of firmness of each sofa in its product description. The longevity of the structure of a sofa is also determined by the material of the structure. Wooden and metal framed sofas can practically last forever. Those made of particle boards are prone to wear and tear. Colour. Purchasing a sofa is a lifelong investment. Refrain from choosing a sofa that is too much of a niche preference. Neutral colours that contrast well with your walls would be the safest option to go for. Avoid colours such as turquoise, red, or with fancy prints, that may go out of fashion soon or that are difficult to complement with other living room furniture such as your coffee tables, side boards, TV consoles and feature wall.